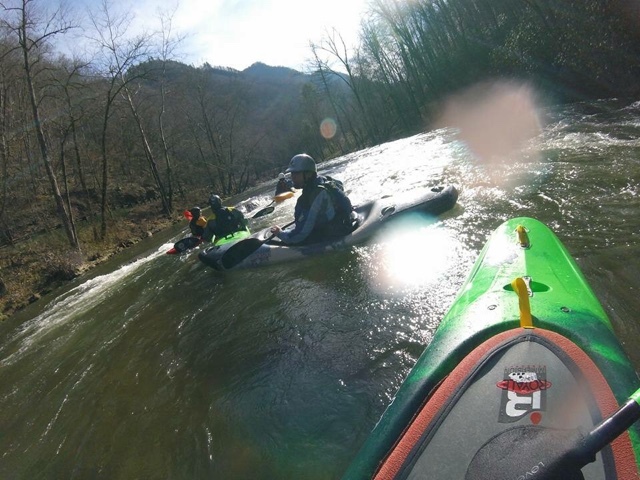 INSIDE THE 5th ANNUAL NANTAHALA ICEBREAKERS EVENT. 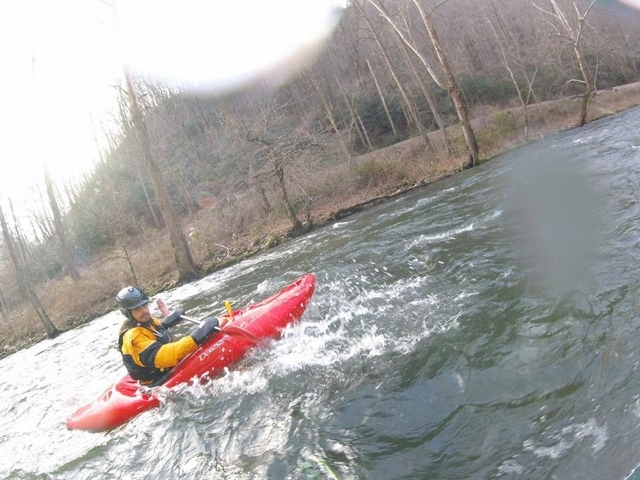 by Michael Potter &Jimmy Jones | DBP MAGAZINE ONLINE The World's Best Free Whitewater Publication. 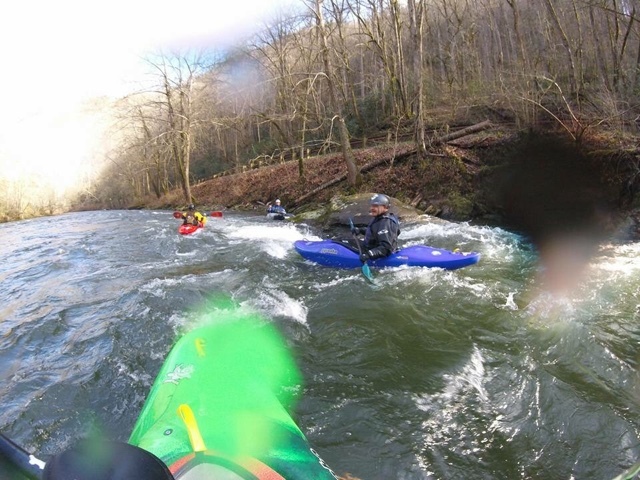 To give an accurate description of the 5th ANNUAL NANTAHALA ICEBREAKERS EVENT, held a few days back on the lower Nantahala River (Patton’s Run to NOC) in Bryson City, NC. We decided to get two points of view from the far sides of the spectrum: founder and first timer. 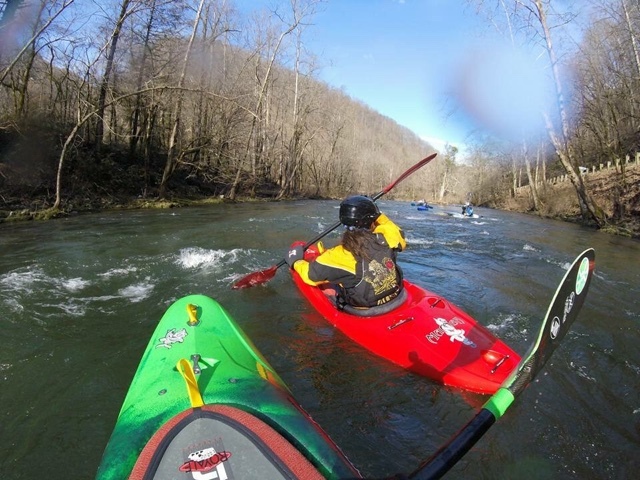 We spoke with Michael Potter just before the event, and asked him to capture the flavor of the trip through the eyes of a first timer to the group, in words and photos. He brought back a huge smile and this trip report. 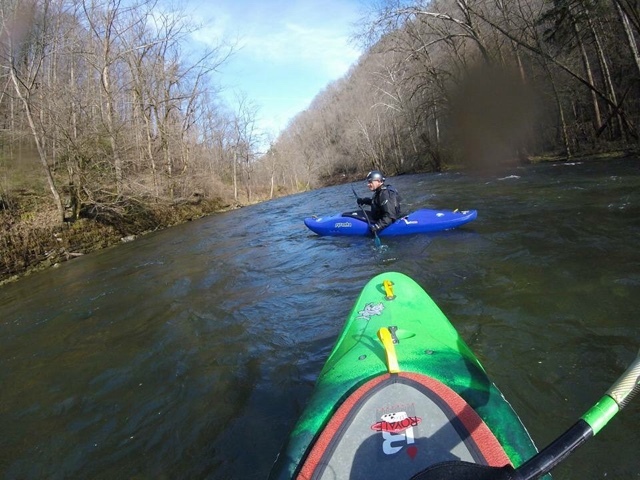 “On January 16, 2016 as near as we could count about 75 crazy people with kayaks showed to brave the cold temperatures of the PADDLE CRACKERS’ 5TH ANNUAL ICEBREAKERS EVENT. This is an event that started as a small group of friends and has grown rapidly in its five year history. 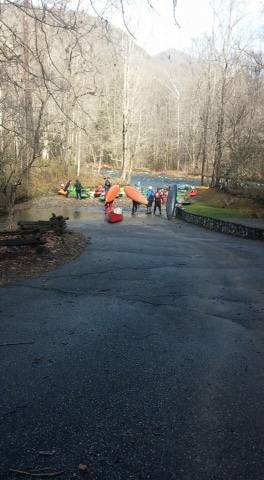 Most all of the kayaks and canoes that started finished the run. There were a few carnage issues. At the takeout I saw three boats on the bank patiently awaiting their ride home. That leaves 72 on the river, not bad! 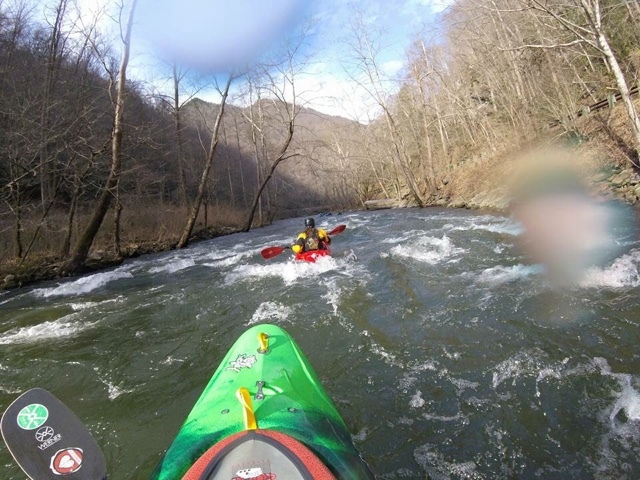 It was a great run, and I ended up meeting a lot of kayakers I had paddled with before, some I want to paddle with again, and even the ones that showed me this river on my pfd, Angie Lorrain, Eli Lorrain, and Trinity Lorrain. After the run it was back to the cabins for grub and festivities. I got a personal invite from David Bazemore to join at the PADDLE CRACKERS cabin for indoor corn hole and to meet them face to face. This was what I came for, to meet people. It was a welcoming club with the most friendly group I have ever been around. There were many funny stories, happy faces, and some comments of Tony Butler and Randy Barfield ‘s understanding of measurement. A small fireworks display brought everyone from the cabins to the porches… and later on an accidental car fire accomplished the same thing. We also spoke with Jimmy Jones, one of the original paddlers at the event. He provided us with a peek into the past and a fun take on the day. 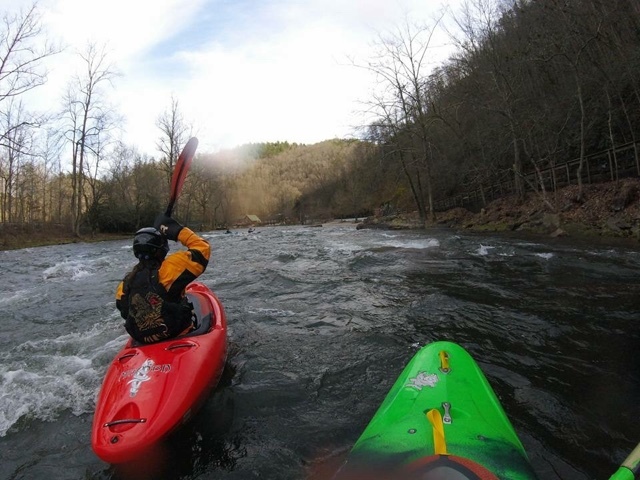 “Here’s a little history of the Nantahala Icebreaker Paddle. Seven people got together in 2012 on the second weekend in January. Some camped and woke up to 19 degree temps which warmed up some by the time that they put on the river. It was so cold that the portapotties at the NOC were frozen. Nothing like looking inside and seeing Mr. Hankypoo looking like Han Solo in Carbonite. Anyway, the next year everyone went up on the MLK weekend since it was a three day weekend. It has grown every year since. Last year there were 26 people, and this year 75. It has been a really fun time and we are looking at adding to the event next year. After getting to the put in above Patton’s, I unloaded my gear. As I walked down to the river I noticed the normal put in area was full of rocks and debris from the recent high flows. I found a place I could seal launch from and put my Nomad nearby. 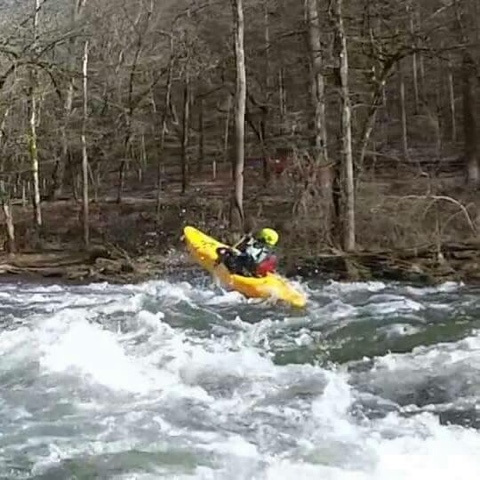 As launch time approached I made my way to the river with my group of Lisa Isbell, Mark Brown, Todd and Becky Harrison, Clint Miller, John Teate and Rick Keith, to where everyone was gathered. Of course there were lots of other friends there but we separated into smaller groups for safety. I gave a condensed safety speech then got in my boat and launched. Some of my group wanted to run the traditional right line down Patton’s and they made it fine. 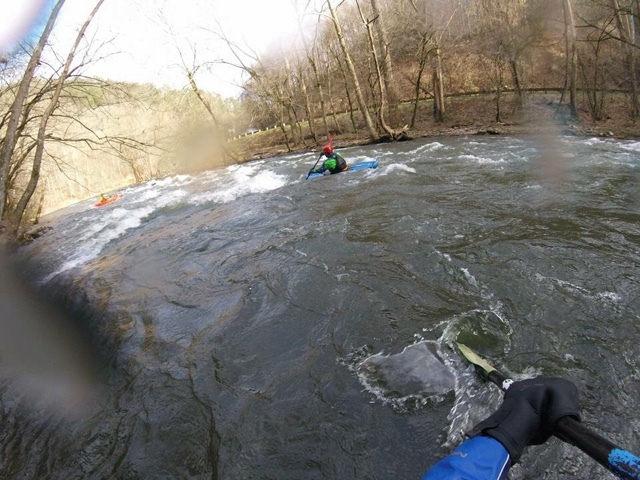 I led the others down the left side and caught the eddy above the ledge at the bottom of Patton’s. 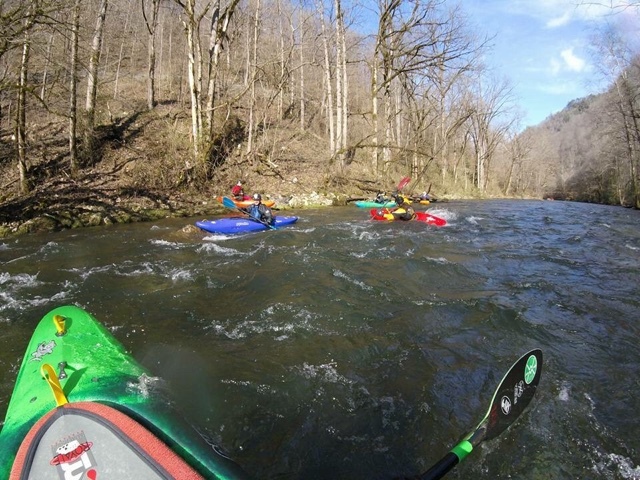 After seeing no issues, we continued down river. 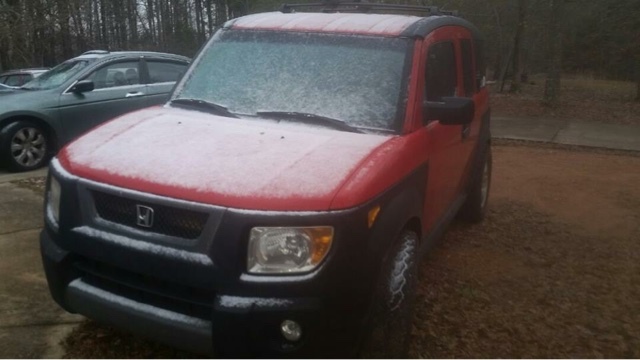 2 photos from last weekend. Sunday morning snow, and a decent boof at the lunch stop, Boof Rock. Want more info on PADDLE CRACKERS?